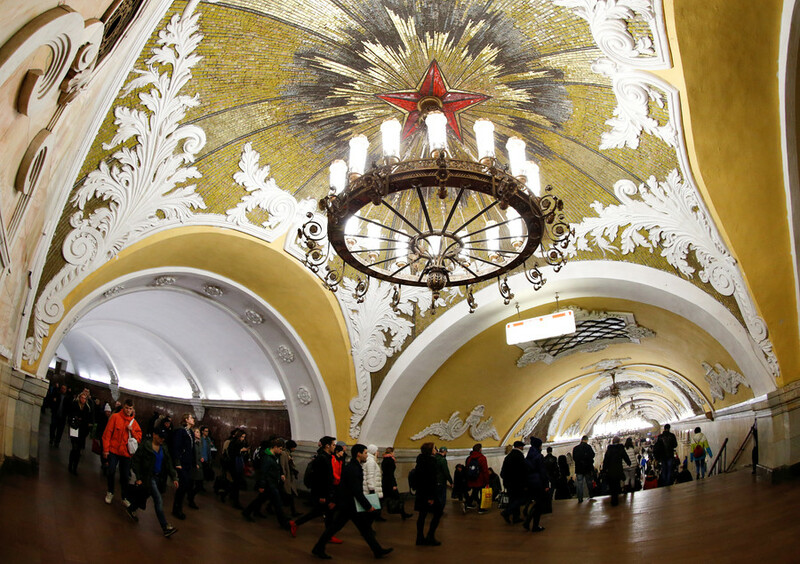 Widely considered one the of the world’s most beautiful underground networks, the Moscow Metro has become one of the major tourist attractions, and even inspired a group of French architects, the city authorities revealed. Urban designers coming from France to support their team at the 2018 World Cup told Moscow authorities that they were so impressed by the aesthetic of the Russian capital’s ornate metro system they made their own urban architecture guide of the network, with a list of the five most beautiful stations. 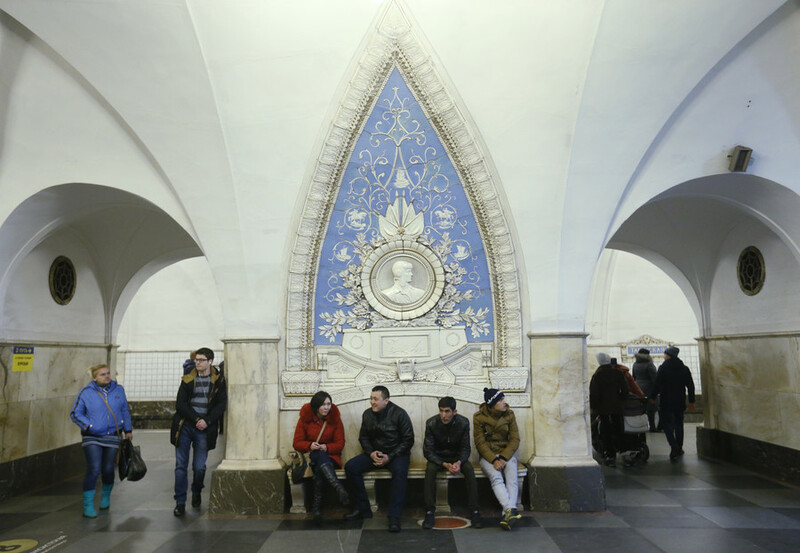 Impressed by the baroque exuberance of Komsomolskaya station, embellished by chandeliers and mosaic tiles, French cityscape designers named it the most beautiful station on the Sokolniki line. 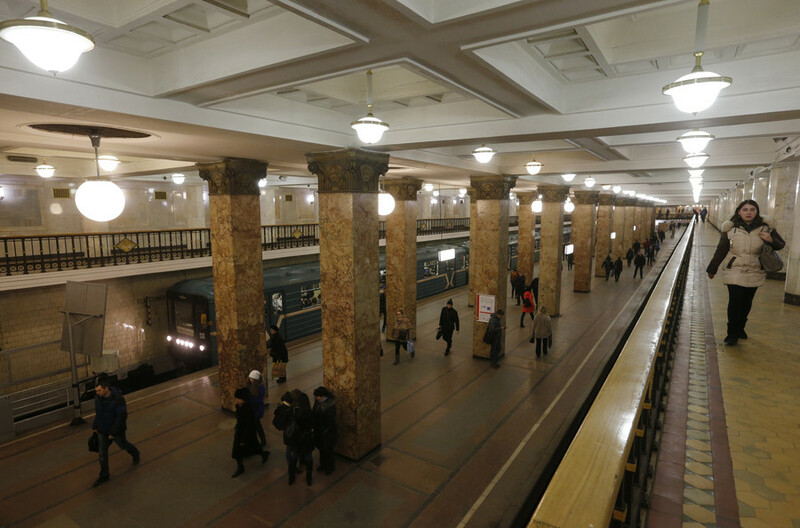 On the Zamoskvoretskaya line they highlighted an Art Deco creation, Mayakovskaya station, whose designer, Alexey Dushkin received international recognition in 1939 when he was awarded Grand Prize at the World’s Fair in New York. Named for Russian futurist poet Vladimir Mayakovsky, the station was designed to exemplify the desire to embrace the future and the passion for everything modern. 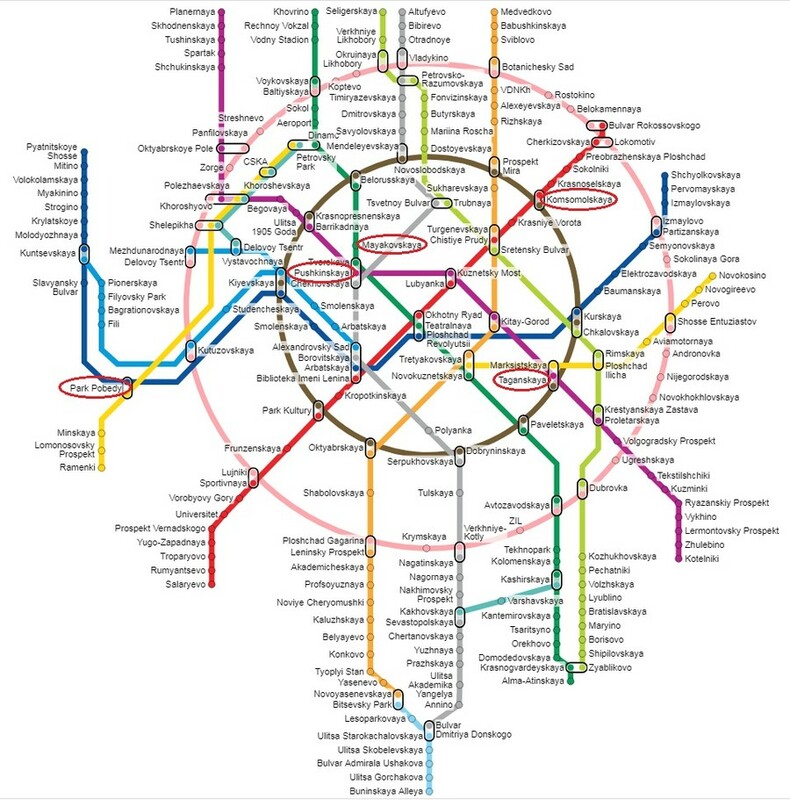 The architectural map of Moscow underground, compiled by French urban designers, includes Pushkinskaya station on Tagansko-Krasnopresnenskaya line, and Moscow’s deepest metro station, Park Pobedy (Victory Park) on Arbatsko-Pokrovskaya line. 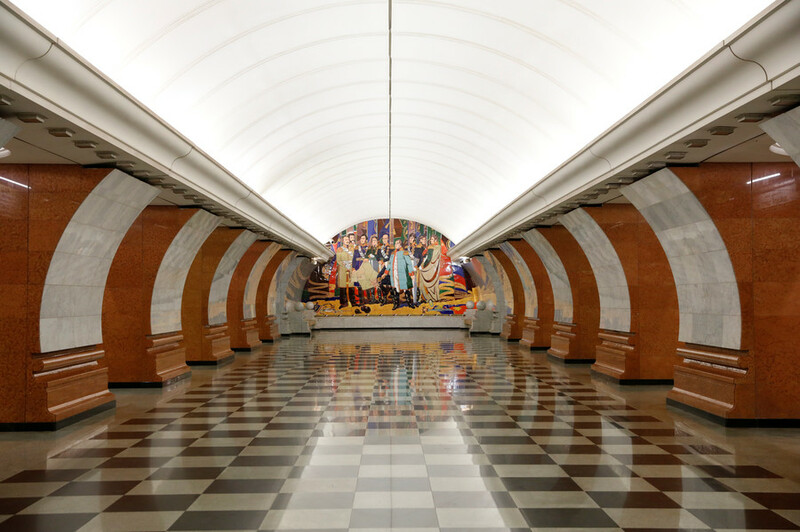 With its impressive murals designed by one of the most celebrated Russian architects, Zurab Tsereteli, on both ends of the station, the Victory Park celebrates Russian triumph over Napoleon in 1812 and over Hitler in 1945. 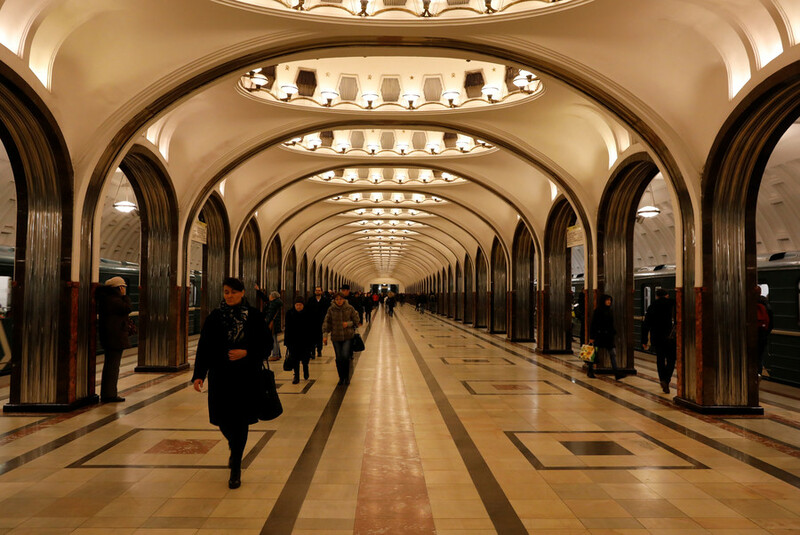 On the Circle line – one of the 14 lines in total – architects from France selected an elegant Taganskaya station with its chessboard floor pattern and arched white ceilings, reminiscent of a Byzantine-era church. According to the city authorities, foreign football fans coming to cheer their favorite team have been using the mobile app to help them navigate through Moscow’s underground arteries. For the 2018 World Cup the city metro has organized multi-lingual guided tours for foreigners who wish to experience full immersion into its gems hidden deep under the earth. 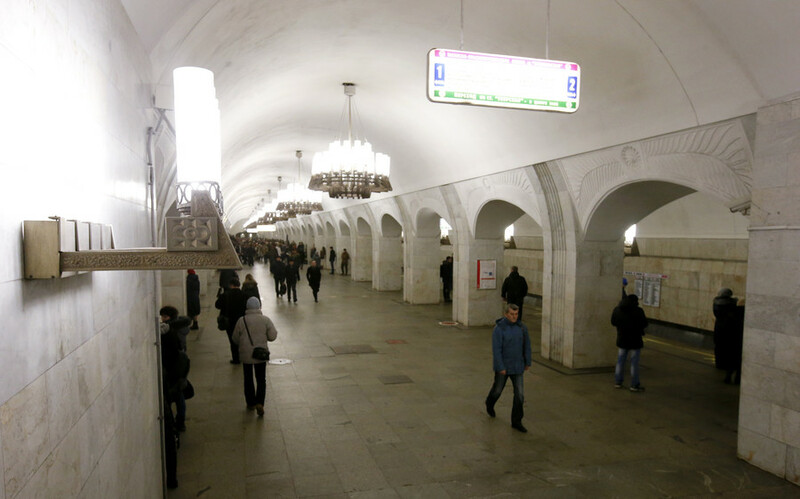 Initially designed in 1930 to be more than just a transportation system getting commuters from one place to another, but an actual “palace for the people” the city underground is living up to that expectation even after having significantly expanded since then.